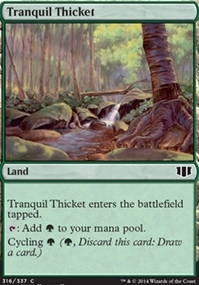 Sun Titan ($3.22) Price History from major stores - Commander 2014 - MTGPrice.com Values for Ebay, Amazon and hobby stores! 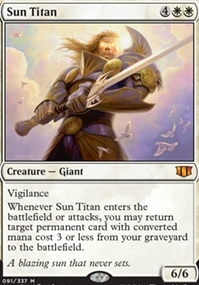 Card Text: Vigilance Whenever Sun Titan enters the battlefield or attacks, you may return target permanent card with converted mana cost 3 or less from your graveyard to the battlefield. 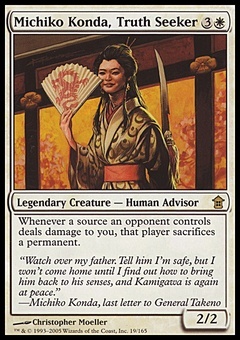 Flavor Text: A blazing sun that never sets.